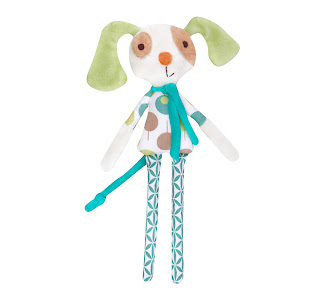 www.willowandme.co.uk: Ella & Otto New Baby Rattles! Fabulous new baby rattles have just arrived from Ella & Otto. Mimi Mouse, Mr Fox, Danny the Dog and Kitty the Cat have taken up residence in our shop! Lovely and soft baby rattles, in great contemporary designs. At approximately 30cm high they are perfect for little hands and make a wonderful little gift.